Since the decidedly bleak beginning of the twenty-first century, art practice has become increasingly politicized. Yet, few sustained defenses of the avant-garde have been put forward. 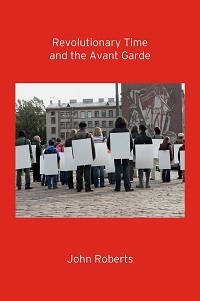 Revolutionary Time and the Avant-Garde is the first book of its kind to look at the legacy of the avant-garde in relation to the deepening crisis of capitalist non-reproduction. An invigorating revitalization of the Frankfurt School legacy, Roberts’s book is unique in its penetrating definition and defense of the avant-garde idea, providing a refined conceptual set of tools that critically engages with the most advanced art theorists of our day, such as Hal Foster, Andrew Benjamin, Alain Badiou, Jacques Rancière, Paolo Virno, Claire Bishop, Michael Hardt, and Toni Negri. Artists have utilized walking as an autonomous form of art, a subject in their work, and as social practice since the early 20th century. Today walking continues to offer a salient means for artists to challenge social, political, and economic orders through a radical remapping of civic space. 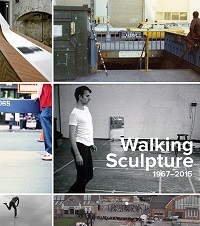 Walking Sculpture 1967–2015 is an engaging and original book, in which Lexi Lee Sullivan traces the history of walking as an aesthetic action from the Dadaists to contemporary ramblers. Titled after Michelangelo Pistoletto’s performance Walking Sculpture, the catalogue features 50 colour illustrations ranging from photographs of Yvonne Rainer’s street actions to Francis Alÿs’s fantastical processions, poems by Cole Swensen, and a new project by artist Helen Mirra, who produces poetic meditations on landscape, ecology, and locomotion. Sculpture, film, video, photography, and performance converge to address the multi-disciplinary practice of ambulation through the cityscape and the countryside. For those who hike; march in fundraisers, protests, or parades; walk the dog; stroll in the park; or commute daily, this catalogue will invite new thought into basic human movement. László Moholy-Nagy became notorious for the declarations he made about the end of painting, encouraging artists to exchange brush, pigment, and canvas for camera, film, and searchlight. Even as he made these radical claims, he painted throughout his career. The practice of painting enabled Moholy-Nagy to imagine generative relationships between art and technology, and to describe the shape that future possibilities might take. Joyce Tsai illuminates the evolution of painting’s role for Moholy-Nagy through key periods in his career: at the German Bauhaus in the 1920s, in the Netherlands and the United Kingdom in the early 1930s, and as director of the New Bauhaus in Chicago in the last decade of his life. 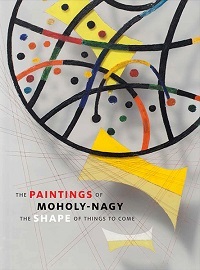 The book also includes an introduction to the history, qualities, and significance of plastic materials that Moholy-Nagy used over the course of his career, and an essay on how his project of shaping habitable space in his art and writing resonated with artists and industrial designers in the 1960s and 1970s. The period between the First and Second World Wars is well known for the flowering of German culture. With Berlin as its epicentre, the period was replete with advanced science, passionate politics, and ground-breaking literature, philosophy and art. Amid the fervour of intellectual and creative activity, German publishers produced some of the most outstanding book designs in modern history. 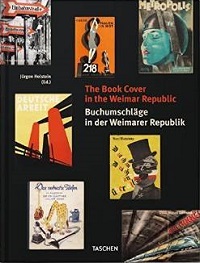 Book Covers of the Weimar Republic assembles 1,000 of the most striking examples from publishing of this period. Based on the remarkable collection of Jurgen Holstein and his rare collectible Blickfang, it combines an unparalleled catalogue of dust jackets and bindings with Holstein's introduction to Weimar publishing and profiles of key publishing figures of the time. Expert essays discuss the aesthetic and cultural context of the period. From children's books to novels in translation, bold designs for political literature to minimalist artist monographs, this is a dazzling line-up of typography, illustration, and graphic design at its most energetic and daring. Part reference compendium, part vintage visual feast for the eyes, this very particular cultural history is above all a celebration of the ambition, inventiveness and beauty of the book. Modernist aesthetics in architecture, art and product design are familiar to many of the creatively inclined. In soaring glass structures or minimalist canvases we recognize a time of vast technological advance which affirmed the power of human beings to reshape their environment and to break, radically, from the conventions or constraints of the past. Less well-known, but no less fascinating, is the distillation of Modernism in logo design. With the creation of clean visual concepts, graphic designers sought to move away from the mystique they identified with the commercial artist, and to counterbalance an increasingly complicated world with clarity. Logo Modernism authored by Jens Müller, brings together approximately 6,000 trademarks, focused on the period 1940–1980, to examine how Modernist attitudes and imperatives gave birth to corporate identity. Ranging from media outfits to retail giants, airlines to art galleries, this sweeping survey of the logo is organized into three design-orientated chapters: Geometric, Effect, and Typographic. Each chapter is then sub-divided into form and style led sections such as alphabet, overlay, dots and squares. Alongside this comprehensive catalogue resource, the book features an introduction from Jens Müller on the history of logos, and an essay by R. Roger Remington on Modernism and Graphic Design. Eight designer profiles and eight instructive case studies are also included, with a detailed look at the life and work of such luminaries as Paul Rand, Yusaku Kamekura, and Anton Stankowski, and at such significant projects as Fiat, The Daiei, Inc., and the Mexico Olympic Games of 1968. An unrivalled, encyclopaedic resource for graphic designers, advertisers, and branding specialists, Logo Modernism is equally fascinating to anyone interested in social, cultural and corporate history, and in the sheer persuasive power of image and form. 100 miles from the gambling town of Reno, in the wilderness of northern Nevada, lies a vast, hostile plain known as the Black Rock Desert. The region has been an empty and windswept dry lake bed for most of the past 10,000 years. Except, that is, for one brief week at the end of the summer, when a temporary city rises out of the barren clay. This is the Burning Man festival, one of the most remarkable gatherings on the planet. Baked by the sun, and blinded by dust, the event acquires different meanings for different people: temporary community, spiritual adventure, performance stage, desert rave, social experiment. It’s also the incubator of some of the most pure site-specific outdoor art ever made. A mechanized fire-breathing octopus. A towering wooden temple 15 meters tall. And the eponymous Man himself—a skeletal sculpture set ablaze at the festival’s conclusion. In their sun-scorched desert location, these huge installations and happenings exist for no clearer purpose than because someone wanted to express something. Participatory, collective, and often designed to last only for the festival duration, their value resides far beyond the ego, commerce and power play of common cultural output. 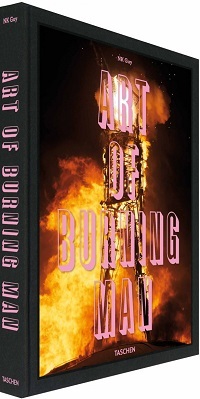 This book assembles fifteen years of Burning Man images from writer and photographer NK Guy. Epic, awe-inspiring, even reality-shifting, the pictures are a testimony to one of the most uninhibited and expressive centres of our time. From the banks of the ancient Ganges River to the glamor of Beverley Hills, from living saints to Hollywood celebrities, Michael O'Neill's quest to capture the essence of yoga spans time, space, and peoples. His stunning images in Yoga: The Architecture of Peace celebrate how the age-old discipline of asanas has developed into a modern global community of 30 million practitioners, united in physical, spiritual, and mindful practice. A yoga instructor in his own right, O’Neill’s own knowledge of yoga informs and inspires his stunning photography of the intricate positions, the rituals, the festivals, the meditations, and the symbols of yoga. He photographs some of the most important yogis of our time including Eddie Stern, Rodney Yee, Dharma Singh Khalsa, B.K.S. Iyengar, as well as those famed for integrating yoga into their high-profile lives, such as Christy Turlington and Sting and Trudie Styler. The images are accompanied by illuminating captions and insightful essays from leading yogis H.H. Swami Chidanand Saraswatiji and Eddie Stern, who together discuss the history of yoga, its dissemination into popular culture, and its health and healing capacities as a way of life.